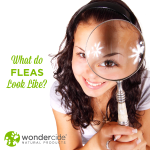 Are you noticing your dog or cat constantly irritated by fleas? Are you worried that these annoying insects are going to make their way to other areas of your house, or perhaps land on your skin? Before you go out and purchase a flea control product filled with conventional pesticides, you might want to consider the health risks you are exposing yourself, your family, and your pets to. The conventional pesticides from traditional flea control products may get rid of your pet’s flea infestation, but your pets skin, as well as your skin, absorbs the harmful ingredients ultimately going right into the bloodstream. A lot of common harmful ingredients can cause a variety of long-term health risks associated with pets including cancer, nervous system diseases and reproductive problems. 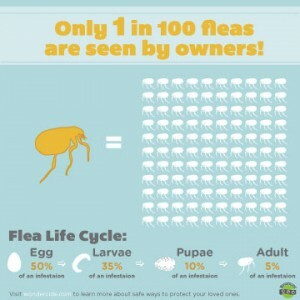 You can stop this from happening by using a safe, natural flea control product to stop flea infestation. You won’t have to search for a product, Wondercide’s Flea & Tick Pets + Home natural flea control is the answer to your dog or cat’s flea problem. Flea & Tick Pets + Home natural flea control is a non-toxic alternative to conventional pesticides that is safe to spray inside your home. Fleas feed on the blood of your cat or dog, but spend most of their time away from your animals and lay their eggs in dark areas around your home. That’s why it’s important to routinely check your pets for fleas and flea bites. Its better to have a first line of defense against fleas and using Wondercide products is your answer. Stopping the infestation of fleas on your pets should not be your only priority, implementing a plan to kill the life cycle of fleas for both the inside and outside of your home will ensure that you won’t have to worry about those pesky insects anymore. Wondercide specializes in safe, natural products for complete property treatment. BioDefense home pest control can be used to treat the flea problem inside of your home and EcoTreat outdoor insect control can effectively treat your property (lawn or garden) and will kill and repel fleas, ticks, roaches, ants, and deter spiders. Don’t stress, just by implementing a plan to completely control the infestation of fleas and by using natural products to treat your home, lawn, garden, and pet(s) will be greatly beneficial to the overall health of your family. 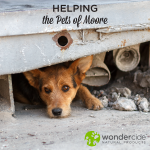 Wondercide’s Flea & Tick Pets + Home natural flea control and other products take holistic approaches to a healthy lifestyle. Hi, My name is Darla Palmer I looked threw this sight last month, Looking threw it again, Does the Flea for cats does it have a strong Smell to it?? I have 2 cats and we need the help. I am going to try yours and hope it will help. I cant stand that my cats are all eat up. I got stuff for fleas off him just 1st month, Don’t work. I to are getting eat up with them. I am going to order Thurs. 3rd why does cat that has long hair gets some kind of bumps all over her?? My pets are infested by fleas and this meant that my whole house was infested with them! I tried Wondercide’s Flea control and it had an immediate effect on the infestation! Great stuff! Thanks for the kind words! Looks like you run a natural bed bug control company. If you’d like to see if you qualify as a wholesaler, you can apply here: http://www.wondercide.com/wholesale-information/ Have a great day!